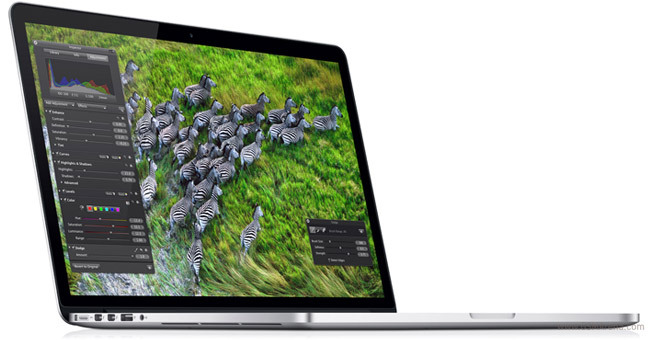 Apple to debut a 13-inch MacBook Pro with Retina display at purported iPad Mini event? The iPad Mini isn’t the only thing that’s going to be unveiled at the rumored Apple event on October 23, as the company will also unveil a 13-inch MacBook Pro with Retina display, rumors say. The information comes from 9to5Mac and their reportedly consistently reliable source at a high-profile U.S. retailer. In addition, the updated 13-incher will also cost a bit more than the its non-Retina display siblings, but won’t feature any novelties in the hardware department, as the internals were updated back in June. 9to5Mac suggests the new 13-inch MacBook Pro will be sold in two configurations (with different CPUs and storage) and, as it’s often the case with Apple, will be available soon after its announcement. October 23 is just around the corner, so it won’t be long until we see if that information will hold its ground.